It has become a sad era for television. I can flick on box on any given night and see an array of cop shows, distorted ‘reality’ and teen-pandering supernaturalism. Outside of that there seems to be only ‘Game of Thrones’, which has been banned at our house (not by me). I’ve watched some incredibly well written police dramas in the last year or so – such Broadchurch and True detective, which have been very viewer-challening works that are worth the time on the couch. But mostly what I’ve seen has been escapist pap that is best watched after a couple of glasses of Scotch so that you know you’ve at least indulged in something of quality for the evening. I mean – is there any television for adults these days that doesn’t include ‘mystery solving’? Cop shows can be good, but it has become a too-easy plot device that allows an audience into a complex world outside of their own, and I often find myself wishing for something that wasn’t so hero-worshipping that allows us to look closer the experience of life. In a world where fiction writing has become obsessed with mild surprise derived from plot-twists, it is often refreshing to find something that has character development at its heart rather than an action and anticipation mix. As such I have been enjoying a new series I stumbled across one afternoon online, which I would like to share with you. It is a brilliant window into history that is rewarding to the viewer in a very different way than we are used to today. 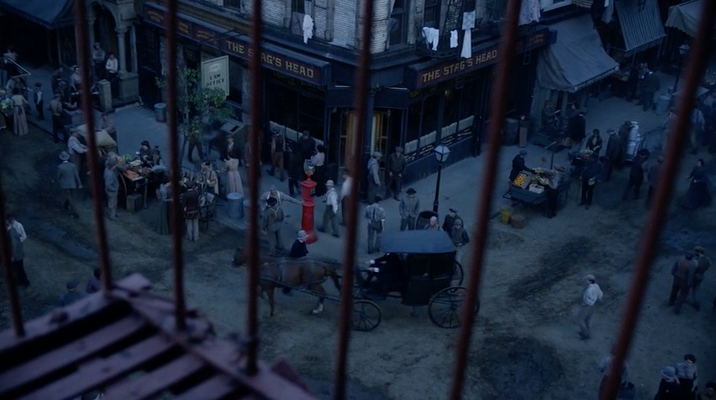 ‘The Knick’ is a series that is set in the Knickerbocker hospital in New York at the turn of the 20th century. For those expecting a costume drama version of ‘Grey’s Anatomy’, you’ll be sadly disappointed – as this drama isn’t filled with doctors kissing in ward cupboards and wearing brilliant fashion with impeccable make-up while pouting over their emotional torment while romantic ballads power the emotion of the moment home to the audience. 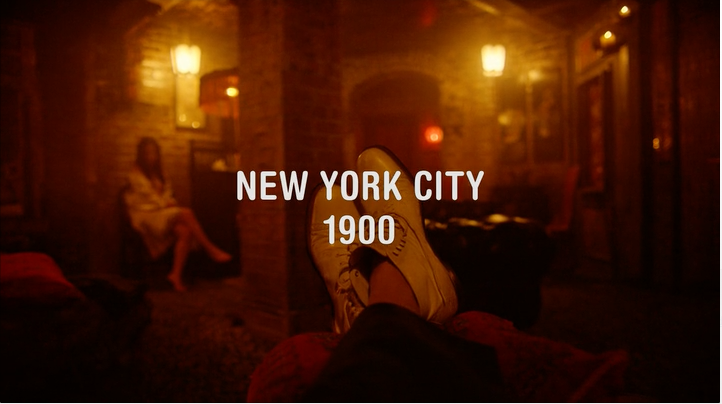 No, The Knick is about the real-world realities of working in a hospital – and how much of what was tradition in the year 1900 impacts how on life in a hospital today. The series is directed by Steven Soderberg, who touched on similar ground with the film ‘Contagion‘. Contagion was a film that depicted with incredibly accuracy what would really happen in our community if a highly communicable and deadly virus outbreak occurred – something that has been a miss-treated plot device in many other films. The Knick continues this intense focus on accuracy and scrutiny on the life of medical professionals, while forming a drama that is very watchable. The depiction of in-hospital politics is spot on, and both myself and Miss Jane have been groaning in sympathy as we watch characters painfully contort their way through the politics of a hospital in order to achieve an outcome. Unlike other medical dramas, surgeons and doctors are depicted as complex and ambitious egotists just feeling their way in the dark – rather than the often painful cliche of the altruistic genius. The medical procedures are gruesomely realistic, and the depictions of early 1900’s procedures and practices are painfully accurate. A typical 19th-20th-century operating theatre. Anyone who has ever worked in a hospital will also be aware that hospitals don’t exist as a community in itself – with patients conveniently appearing and subsequently disappearing on cue. As such The Knick is about the community around the hospital as much as it is a drama about day-to-day life in the hospital itself. The often brutal competition between ambulance contractors of the era is scrutinised, and the whole hospital is set inside a richly realised 1900’s New York filled with impoverished immigrants, rampant disease and social injustice. One of the many brilliant New York street scenes that the series travels through. The series itself opens in an opium den and them moves out into the a community wracked with poverty and disease. The use of cocaine as a medicinal tool and an anaesthetic is looked at closely, as well as its use in an era where regulation and research into drugs was practically non-existent. The hit-and-miss nature of early modern surgery is also well depicted, with procedures often failing as pleading patients ask the surgeons that they have trusted with their lives to save them. But from failure there is learning – and this series explores on how modern medicine and surgery came out of so much death. Some of the most surprising moments in this series come from the depositions of health conditions that seem a world away from how we live today. It shows world before vaccines, antibiotics and sanitation where people rot from communicable disease, and lives are saved by major surgery from things that we just pop a pill to remedy today. The star of the series is Clive Owen (Children of men, King Arthur) who is a very accomplished actor that takes the complexities of this series in his stride. His depiction of an egotistical, drug addicted but passionate Doctor Thackery is just as brilliantly constructed as the settings of the hospital itself. You end up feeling like a fly on the wall in an environment that is both alien and familiar to our modern experience. If you have ever worked with surgeons you’ll be familiar with the idea that they often see themselves as god. Owen’s every breath seems to be from such a surgeon, and he’s utterly convincing as he barrels along through scenes with blind over-confidence in his purpose. Outside of that, there other other social issues that are confronted with the same multi-layered complexity. A brilliant black surgeon gives us a look at the torment of racism in the hospital, and also allows us a view into life on the other side of the communities’ racial segregation of the era. While wealthy white surgeons often struggle with first world problems, Edward, who is forced to live in a black segregated area often has to fist-flight just to protect the shoes he arrived with, while he struggles to practice surgery in a hospital with other surgeons that have formed a ‘closed shop’ mens-club attitude. Corruption and poverty are looked at closely under the same microscope, as well as class privilege. Everyone that watches this series will at one stage or another find a scene or an issue that they will find confronting. This series bravely looks at our world, or that world that once was, with intensive objectivity. This isn’t a series that is about rewarding the viewer just for watching with tight and satisfying conclusions to plots. But rather it is about immersing the viewer into a different world while starting a discussion that often confronts us on our own pre-concieved views. It is a refreshingly honest series that isn’t about building villains or heroes, but rather a complex drama of about how we live our lives – and what life in a hospital is really like. While we often like to reduce our lives down to pithy one-line philosophies, this series never allows the viewer to wallow in such shallowness. Warning: This series is not for kids. Many scenes are very graphic in nature. Soderbergh AND Clive Owen? I’ll have to keep an eye out for this one. I knew that Soderbergh had decided to do TV instead of film, but I’d forgotten about this show. Thanks for the heads-up! I think you’ll love it. Mr T. Although it is proving a bit tricky to get hold of in Australia at the moment. I’m going via VPN, but there’s no network here that has picked it up as yet. Sounds good to me (apart from the realistic medical procedures). What are the chances this will air on ABC or SBS? I reckon ABC may just pick it up, but it might have to wait a year. Oddly enough Foxtel hasn’t grabbed it, which tells me that seeing it via regular channels here might take a while. Can’t wait to check it out. Wifey loves medical dramas, and I love The Sode… who’s one of the best directors of actors out there. Agreed. And you can really see his influence in making this work. Ooh, new TV shows! I agree on the cop-drama. There’s a bit too much of it really. I do still enjoy my Criminal Minds, NCIS and Bones, but mostly because I’ve watched since the beginning. The latter one starts to get a bit too boring once in a while. Other than that (I do love my mysteries) I started watching Inspector Poirot again, Belgian detective working in England. This show is from the eighties, and it’s based on Agatha Christies stories. Ah! There’s a few members of this household that very much love Poirot. We seem to have several years of series on DVD. That DOES sound like a great show! I gave up on TV here in the states because of the exact problems you outlined. History Channel has declined to the point of no hope, Discovery and Nat Geo following on its heels. I too, am no fan of cop shows. They do not portray police work accurately and instill fear in the audience, a fear of everything and everyone in the world. What’s worse, they make it seem like Americans’ Constitutional rights are a hinderance to catching bad guys. Security is better than freedom. That’s why I went back to books. But it’s good to know that there are still some people out there who know how to make art for the screen.